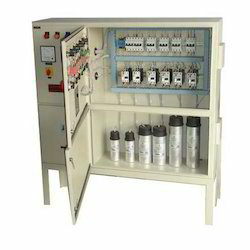 Providing you the best range of motor speed control panel, ats control panel, three phase motor starter panel, star delta motor starter control panel, control panel and plc vfd panel with effective & timely delivery. 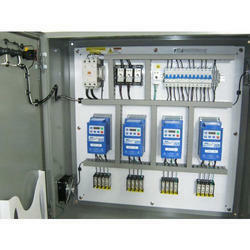 As an esteemed company, we are engaged in providing Motor Speed Control Panel to our clients. Highly acclaimed among our clients due to its high strength and long working life, the offered panel is manufactured at our state of the art manufacturing unit under the guidance of senior quality controllers. Variable Motor Speed Control Panel. 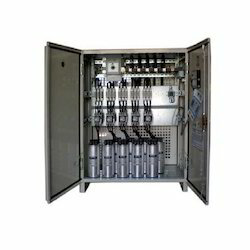 Backed by huge industry experience, we are providing high quality ATS Control Panel. The offered panel is designed and developed under the close supervision of our knowledgeable team that leaves no stones unturned when it comes to maintaining optimum level of quality. Our offered panel has excellent finish and is available at nominal cost. 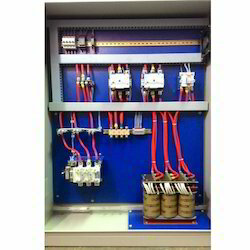 Auto transformer system control panel for the motor. With keen market understanding and huge experience in this field, we have emerged as a prominent provider of Three Phase Motor Starter Panel. Widely appreciated for its enhanced durability and optimum performance, offered panel is highly demanded among our clients in the global market. Customers can avail this from us at reasonable prices. Relying on our years of experience in this industry, we are offering Star Delta Motor Starter Control Panel to our valuable customers. The offered product is manufactured by excellent quality material, which ensures its best quality. Widely known for its durability and quality, the offered product can be avail from us at nominal cost. 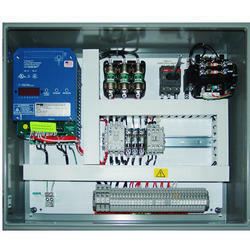 We offer Smart Relay Panel. We are specialized in helping customers develop and implement process control improvements on time and on budget. 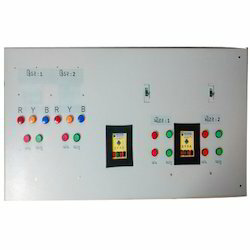 These panels are widely used for less complex processors in various industries /organization. 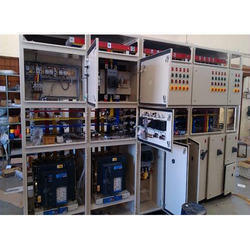 This economical version replaces relay panels and PLC panels. 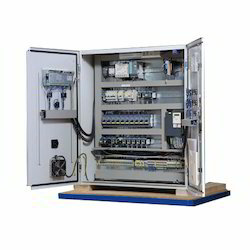 Variable Frequency Drive (VFD) Control Panel.